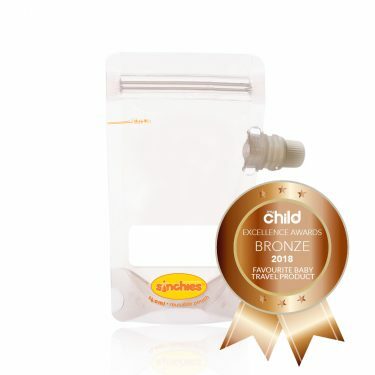 Sinchies limited edition Christmas top spout reusable pouches in 150ml. For those of you that LOVE Christmas these are for you. Get into the spirit of Christmas with some on trend reusable pouches. 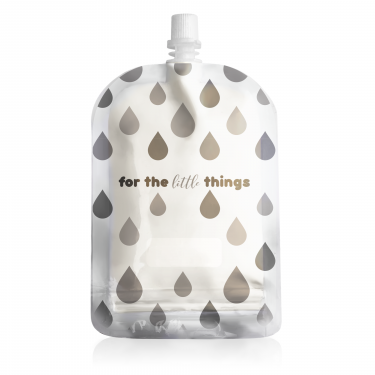 These make awesome single serve cocktails for Chrissy day, fantastic gifts for class mates, kindy and daycare friends and are a practical Christmas gift. 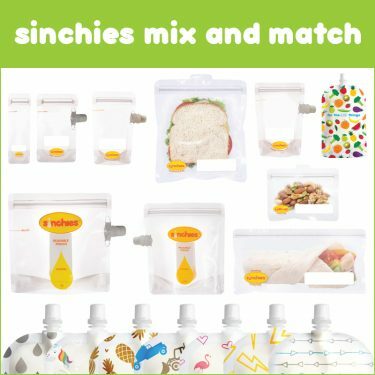 Sinchies limited edition Christmas top spout reusable pouches in 150ml. For those of you that LOVE Christmas these are for you. 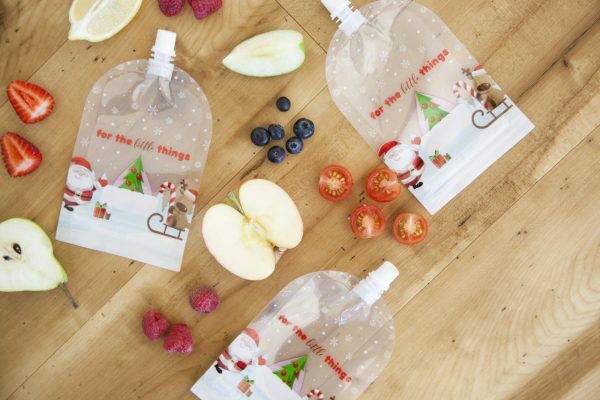 Get into the spirit of Christmas with some on trend reusable pouches. 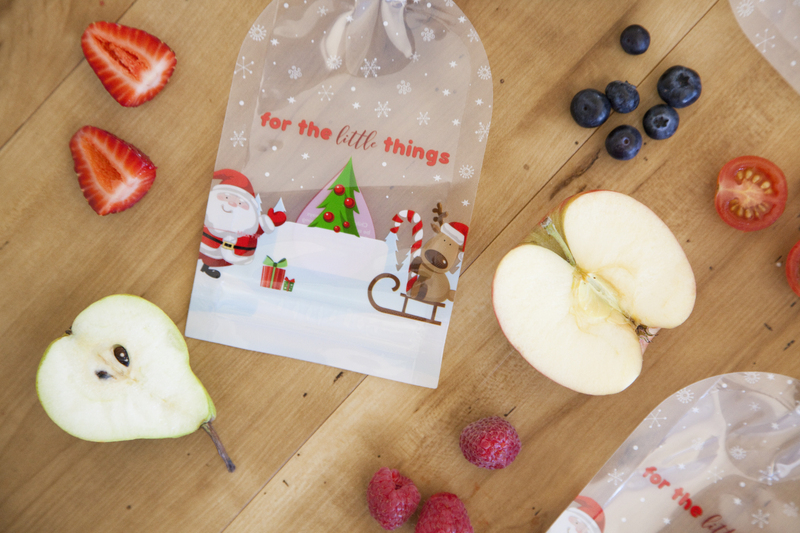 These make fantastic gifts for class mates, kindy and daycare friends and are a practical Christmas gift. Also available in Lightning Bolts, Unicorns and Rainbows, Flamingos, Monochrome Droplets, Trucks, Gold Pineapples or Arrows! 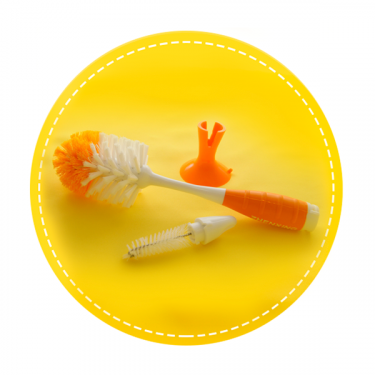 Wash you pouches – with one of our super duper cleaning brushes – This comes with a smaller brush tucked into the end of the bigger brush and also a silicone stand so your brush can air dry. Use a twisting motion to get into the edges of the pouch. 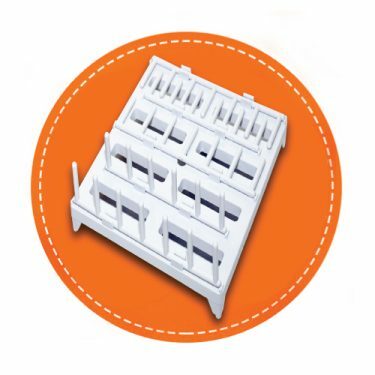 Drying your Sinchies – couldn’t be easier with one of our handmade (designed by my dad) drying racks. 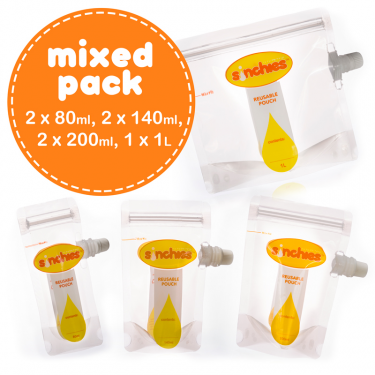 Simply spread your pouches over the prongs and leave them to air dry. Alternatively after washing shake the excess water out and pop them straight into the freezer, snap locking that freshness!